These are Rauni Higson's signature designs either in stock or available to order. Each piece is hand crafted and can be individually personalised. Please get in touch to find out more. These hand crafted dishes are inspired by lines in the landscape carved by rivers and streams into the valleys below viewed from the hills and mountains of Snowdonia. These beautiful napkin rings are hand hammered using Rauni Higson’s signature fold-forming technique to emulate the growth patterns in plants, specifically the unfurling of fern fronds. 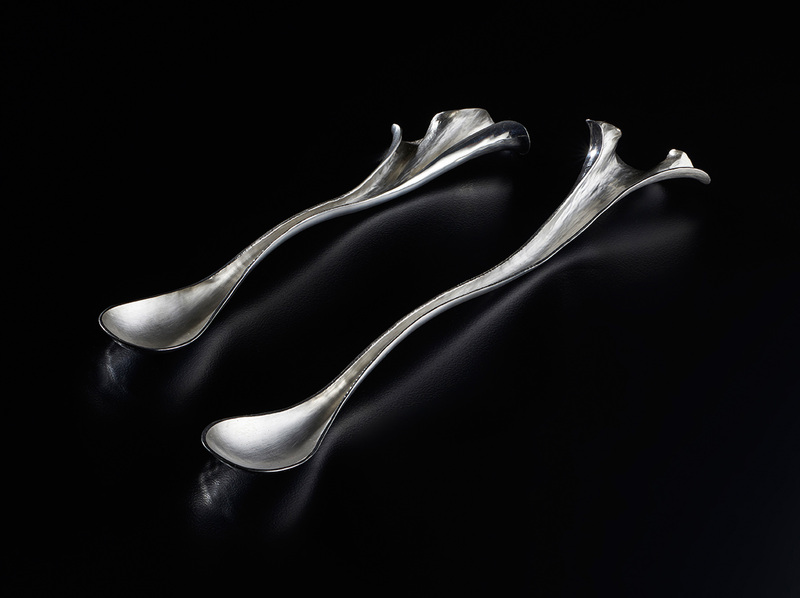 These luxurious ‘Rivulet’ cups are hammer chased with delicate ridges evoking the paths that water takes takes running down the Welsh mountains. Available in sets or individually and perfect for a variety of purposes. 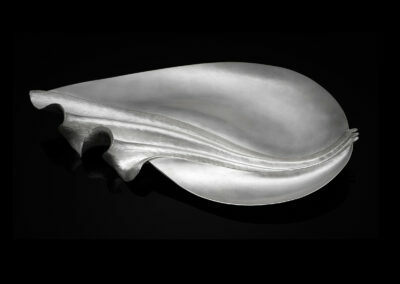 Named for the spirals of snow whipped off mountain summits, or the foam blown from the crest of a wave, this server is hammer formed from a single sheet of sterling silver into complex three-dimensional curves. 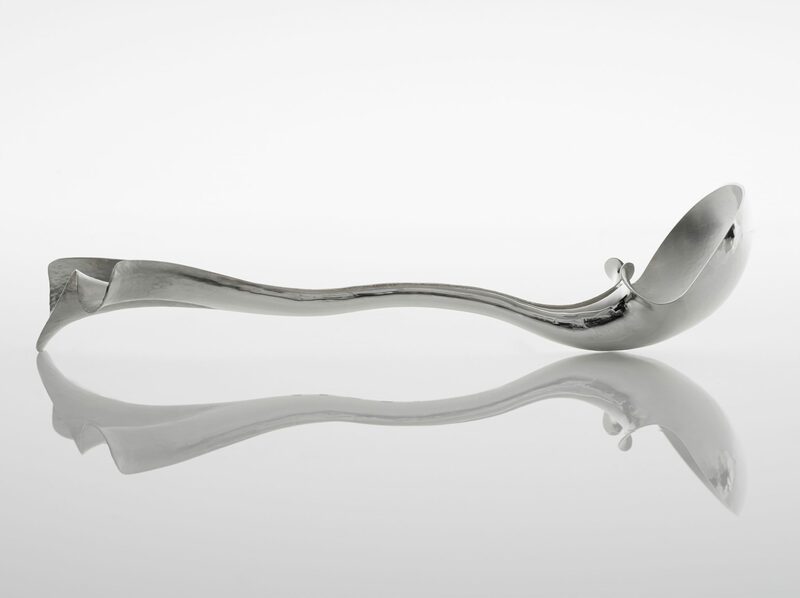 Your caddy spoon and I have been united, and I cannot tell you how delighted I am with it… it is absolutely exquisite, so beautiful, so feminine, almost like some wonderful fabric… you have an unique feeling for the metal, and I am so impressed by your design and your craftsmanship. I feel very lucky to own a piece of your work – and especially one that I have commissioned. Thank you SO MUCH, I am one enchanted customer!